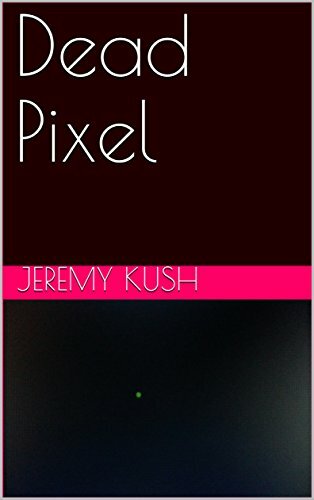 Dead Pixel by Jeremy Kush is an unusual flash fiction piece about a guy playing a virtual reality game for the first time, while he live streams the event. Some readers may have a difficult time visualizing this story...the typos don't help...key words are misspelled, adding some confusion as to what the gamer is actually seeing. The macabre nature of the game provides a good hook, but this story would be better suited for a film short. Every so often, I come across a short story which would be better off in some other form...either a novel, a television episode or a full-length movie. Sometimes it's the format of the story that needs to change, but other times I think an author needs to change their writing profession. I know authors who are fantastic at short stories, but couldn't write a novel to save their lives. There have even been a few writers who I thought would do better writing screenplays. Regardless of the situation, most of them have great story ideas which deserve more attention. I've been using the horror alias, AstraDaemon, for over a decade. I am the author of the short story, The Survivor, as well as a Reviewer and Vine Voice at Amazon. I used to write for The Zombiephiles for years, until I created AstraDaemon's Lair. My goal is to introduce readers to as many new and unknown authors as possible, with reviews, interviews and more.